The international sensation 'Tap Dogs' returns. 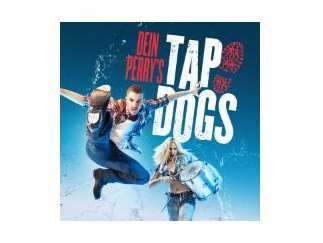 Created by Olivier Award-winning choreographer Dein Perry with a construction-site set by designer/director Nigel Triffitt and a driving score by composer Andrew Wilkie, 'Tap Dogs' is a rough, tough, rocking theatrical entertainment. Winner of 11 international awards, 'Tap Dogs' premiered at the Sydney Theatre Festival, moved on to London and New York, and has been a howling success all across North America, Europe, Asia, America and Australia.